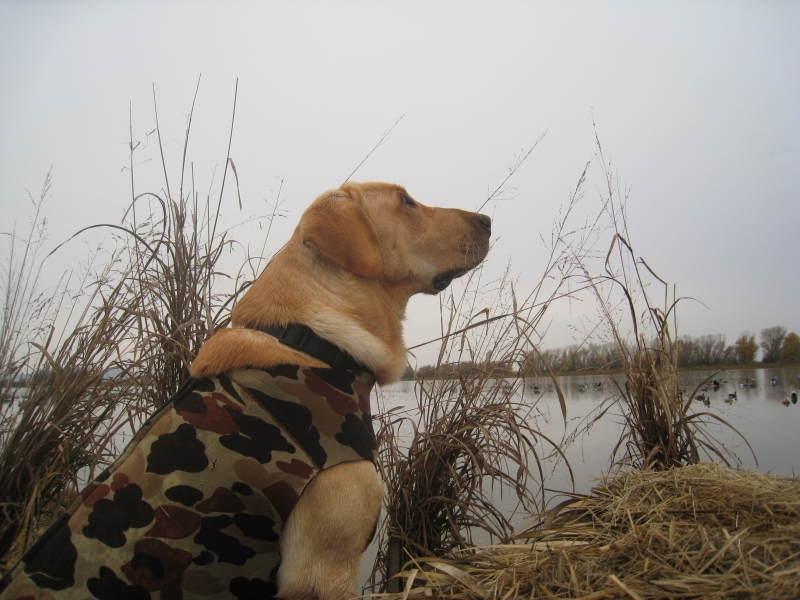 Our female Labrador, Bonnie obtained her Junior Hunter title at 1 year of age. 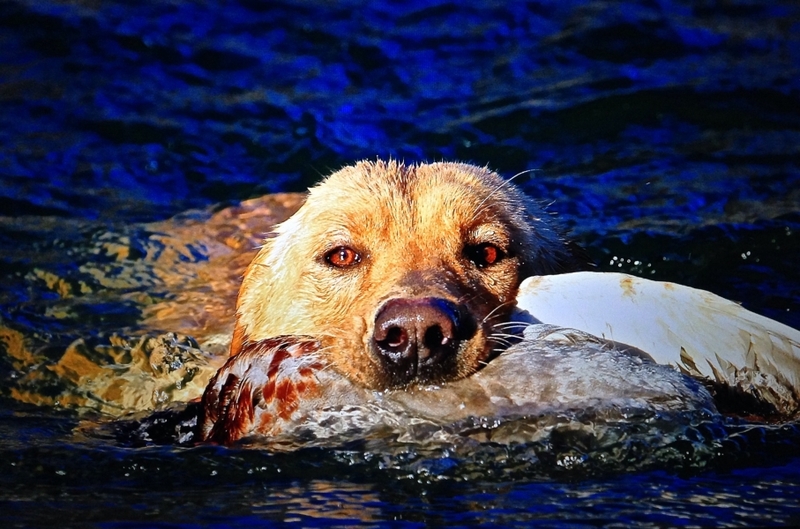 A typical Labrador, she loves the water and is a strong swimmer. She would spend all her time in it if she could. 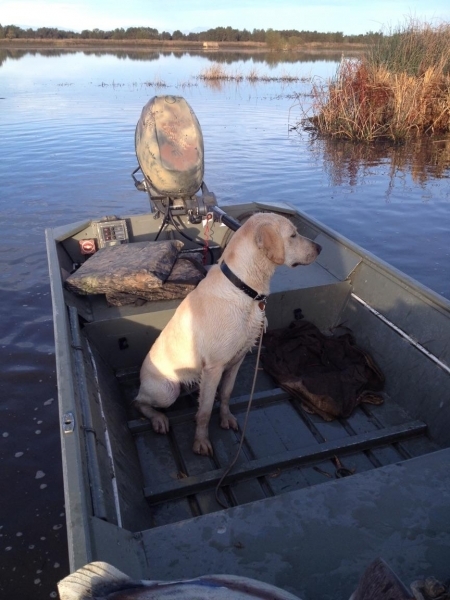 Bonnie is all English bred of primarily English Champion Labrador Imports. 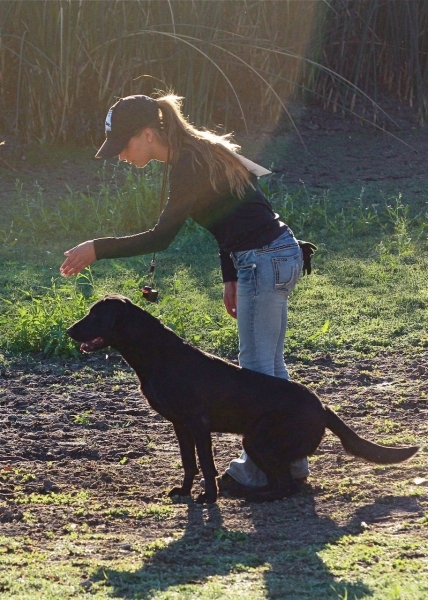 This female Labrador displays good breed type of head, thick coat and otter tail. 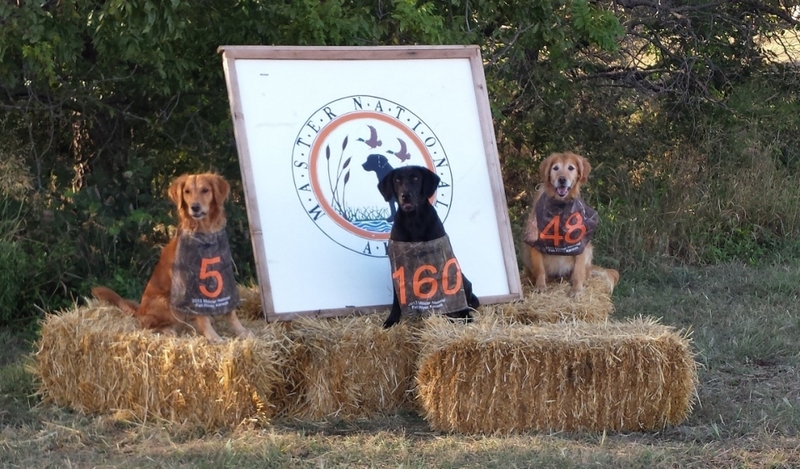 Displaying a true Labrador temperament she is so versatile; while being a great upland game dog and a pleasure to hunt over, Bonnie is also a good CGC and Therapy dog. Our service dogs come from her lines with great success. 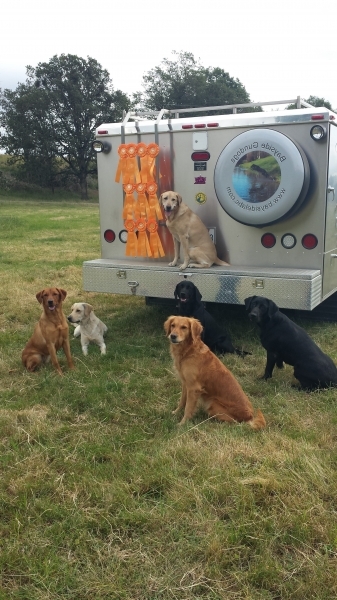 Bonnie’s litter brother is with Guiding Eyes in New York as a Labrador breeding stock stud, a few others Labradors were entered into the service dog program. 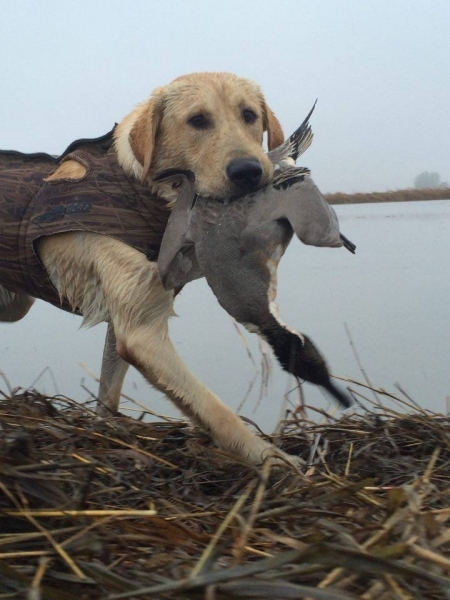 To confirm our reputation as one of the Top Labrador Retriever breeders in Northern California, Bonnie’s Labrador offspring are raking in the AKC titles! 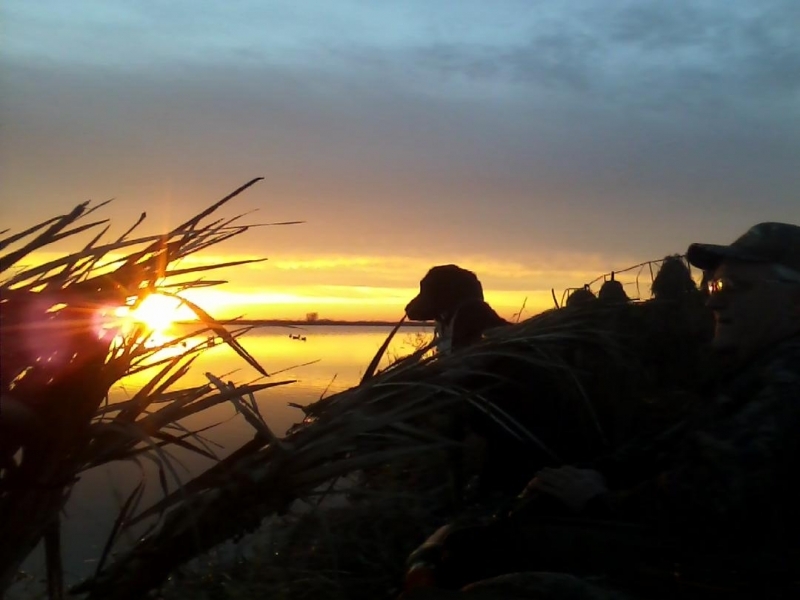 Check Bayside Labradors NEWS posts for the current Hunting titles. Shasta, Kenai, Bari, Phoebe, Annie, Gail, Kobe, Hunter, Brandy and more. 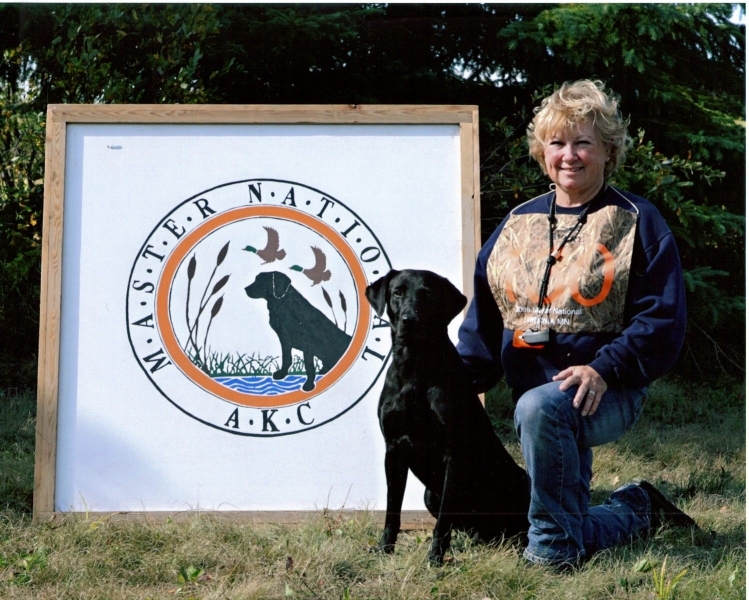 C.D., Therapy Dog, Service Dog, Agility, Nose work, Canine Good Citizen, Senior Hunter. Bonnie is now retired and living with Jeanette Frost and her family. Jeanette is the office manager at VCA Gateway veterinarian clinic.